These tunnels are a bit dodgy. In July 1935, the British government, after many months of studying the new German war machine, and the different scenarios that could happen if Germany decided to go to war, decided to relocate the Ordnance factory from it's location in Woolwich, well within range of the German bombers to several locations "inland" around the country. The largest site was to be located in Bridgend, South Wales, far enough away from the German bombers, good road and rail networks, within easy access of the ports in South Wales, such as Swansea, Cardiff and Barry. It's position just below the Welsh coalfields was also a bonus, as these large factories relied on a plentiful supply of coal, for the steam that kept the machinery going, and the heat from the steam pipes that would keep the munitions storage warm and dry underground. The Massive steelworks nearby in Margam could supply the plant with all it's requirements Due to the ground in the area, very marshy, the whole area was from time to time surrounded by a low lying mist; even if the bombers reached here, they may not even see the site. Aside from all of this, severely depressed areas of the countries had priority over others, so work had to come to Bridgend. In April 1936, over 900 acres of land in the Waterton and Brackla areas were compulsory purchased, nearly all farmland. Royal Ordnance factory 53 was to be built on the Waterton site, sites 11 and 41 were to be built on the sites in Brackla. In April 1937, the Great Western Railway began constructing the many miles of railway needed to supply the sites, including the sidings needed at Brackla Ridge, and the feed lines for the munitions, as well as marshalling yards. Remains halt near Waterton, the station for the employees was also constructed, a concrete platform on the Up main line, a wooden one on the Down main line. A footbridge was also constructed here, the remnants of which can been seen today. Gee Walker & Slater Limited, and Sir Lindsay Parkinson & Co Ltd were the contractors awarded the project to build the massive complex on the Waterton site. 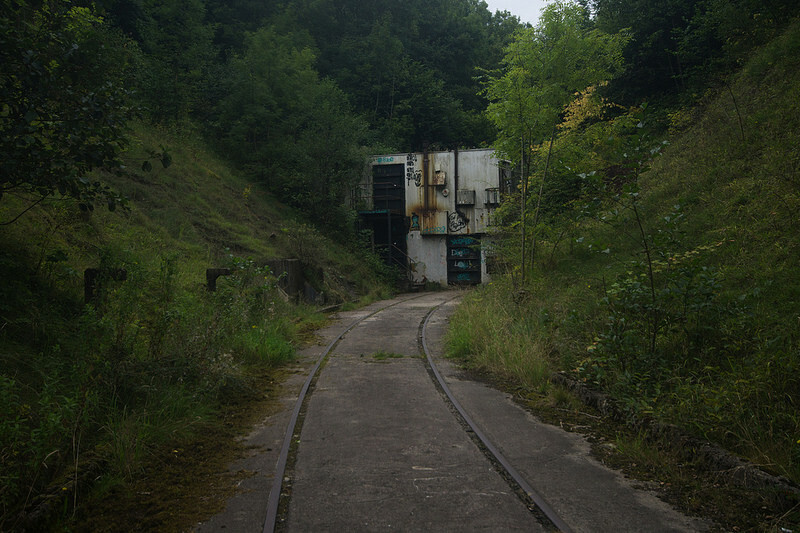 The factories 11 and 41 at the Brackla site along with the Magazine tunnels were built by Sir Robert McAlpine and sons Ltd. Along with the hundreds of specialist buildings, over 60 miles of roadway and more than 24 miles of railway track were required to service the complex. By 1940, the sites were in full production, nearly 40,000 people worked at the factory, the largest employer in the country, and would be until the 1960's. 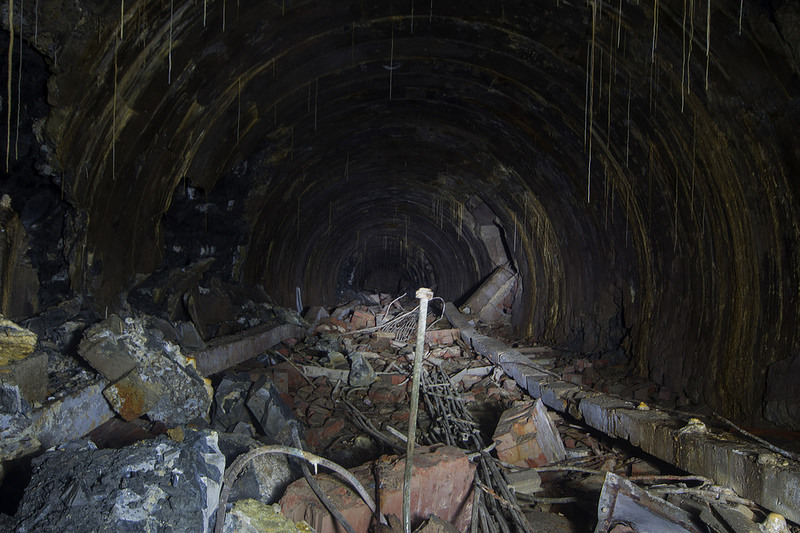 All of the tunnels are similar in construction, (a loading bay now in filled) would have had ammo wagons brought in by rail, along side the entrance was a boiler house for each tunnel. From the inside of each tunnel two entrance tunnels about 20m apart that ran off at 90 degrees into the hillside parallel to each other. 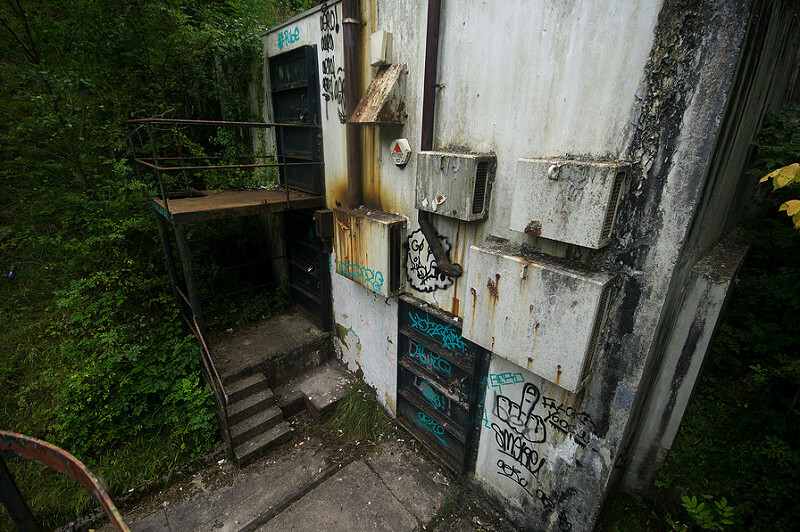 About 20m in there is a guard post and now blocked off double doors which lead into the storage tunnel which ran a further 200m or so into the hillside with 8 storage gallerys in between the two parallel tunnels. 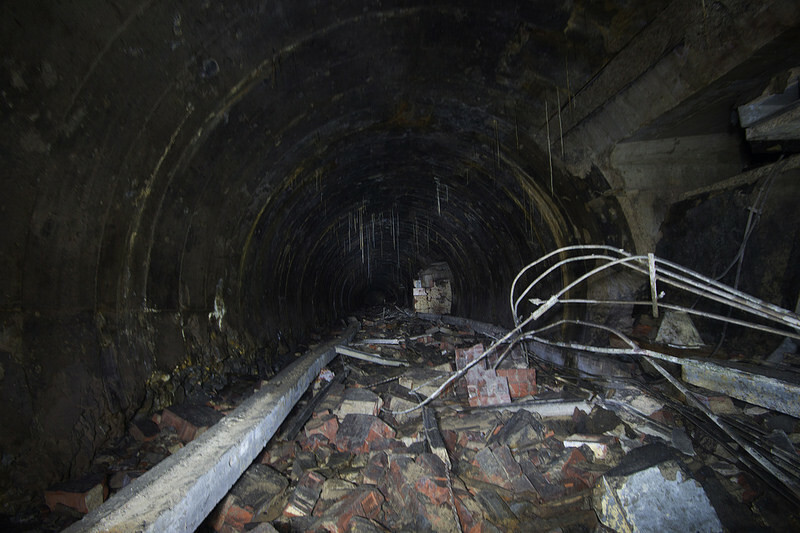 All of the tunnels and gallerys were constructed of a round iron ring tunnel similar to the London Underground and within these, square brick built tunnels were build for storing the shells. 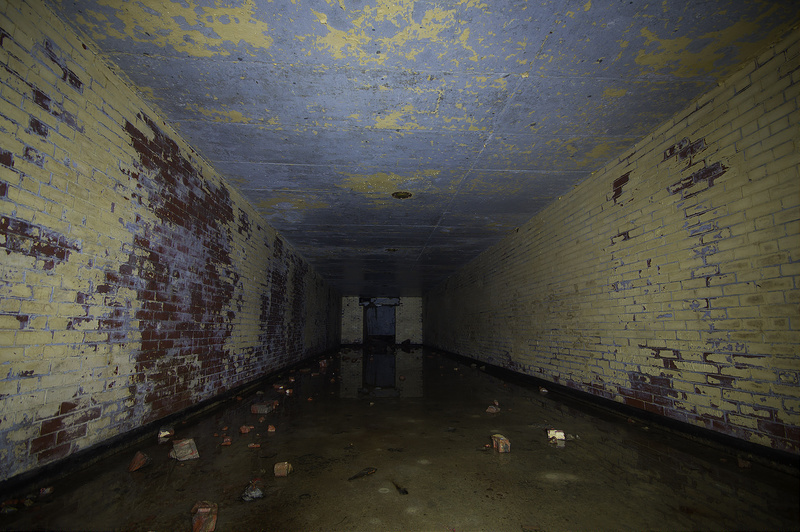 All the electricity and other utility pipes ran outside the brick tunnel to keep them separate from the stored ammo. 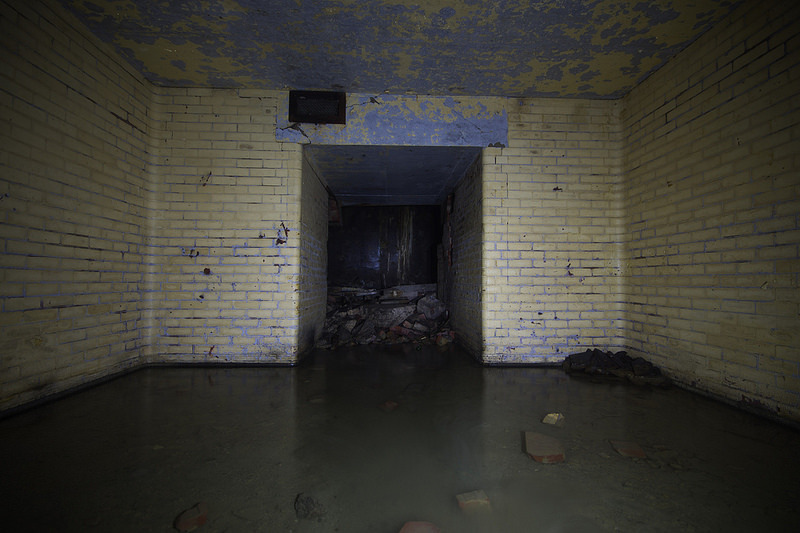 Warm air was constantly circulated in-between the two tunnel walls to keep the ammunition safe and dry. 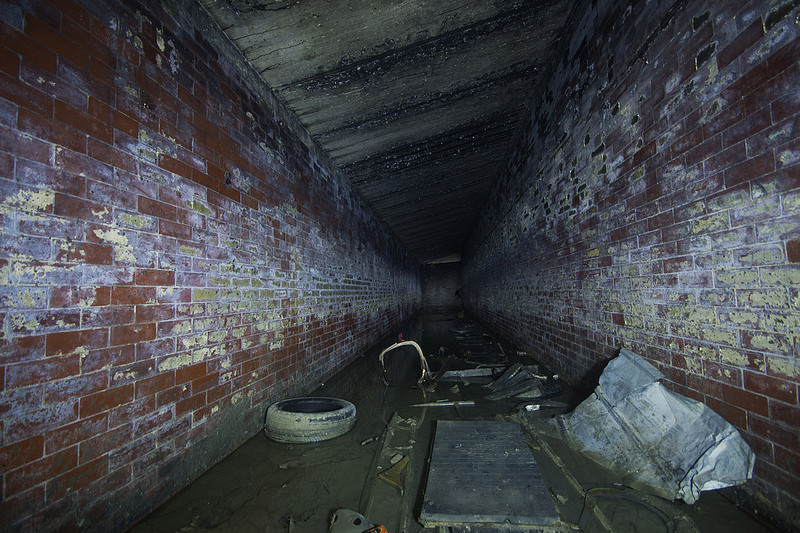 Nice one for getting in these mate, these are my local tunnels and as you say very dodgy in parts. 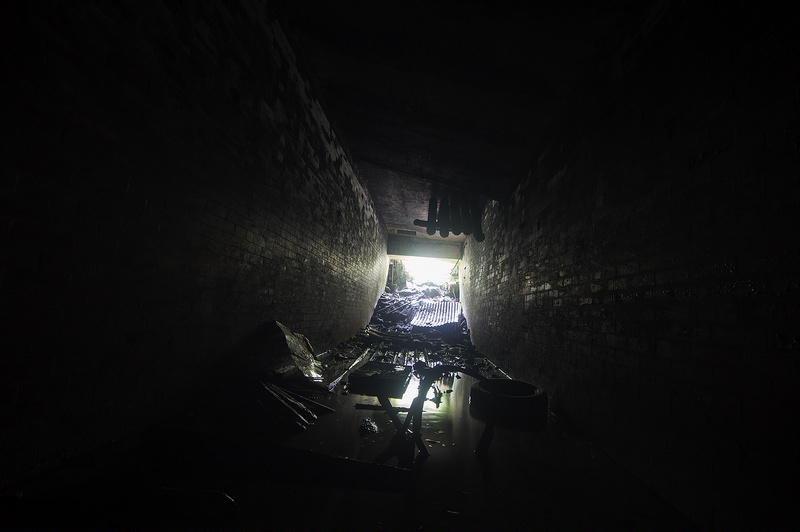 Are these all the tunnels from the one entrance, by the number 7/8 entrances behind the industrial estate? I went today but only a few feet in as it was very watery and just want to know if thats the right one for when i go again.. If so any idea how long the tunnels are roughly whether its just two corridors a long series?